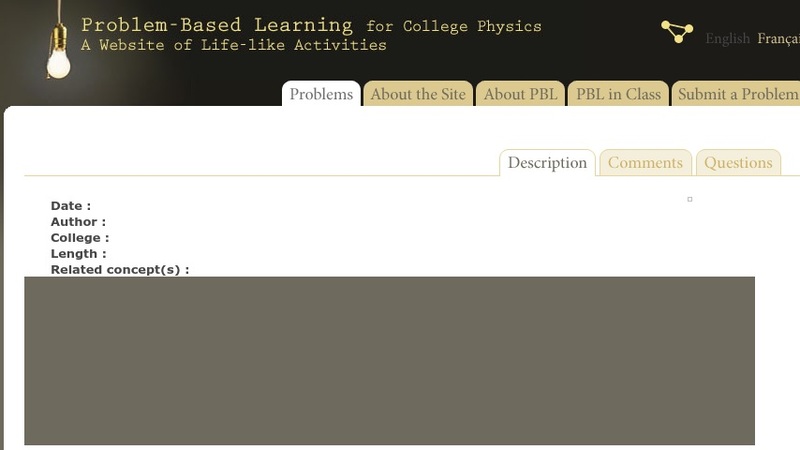 This is a PBL (Problem-Based Learning) activity for introductory physics relating to conservation of energy and gravitational potential energy. In this scenario, students are given a rough design for a bungee jump from a 20-meter tower and work cooperatively to determine the parameters for a safe jump. While some information is given, learners are required to research certain aspects, such as the medically-recommended maximum acceleration for an untrained jumper. PBL is an instructional method designed to strengthen student competency in reasoning and problem-solving. The activities mirror real scenarios encountered by practicing scientists and engineers. Learners sift through information to separate useful from irrelevant data, locate missing information on their own, and then apply physics in finding solutions. This resource includes a printable student manual and a password-protected teacher's guide with solutions and tips for instructors.